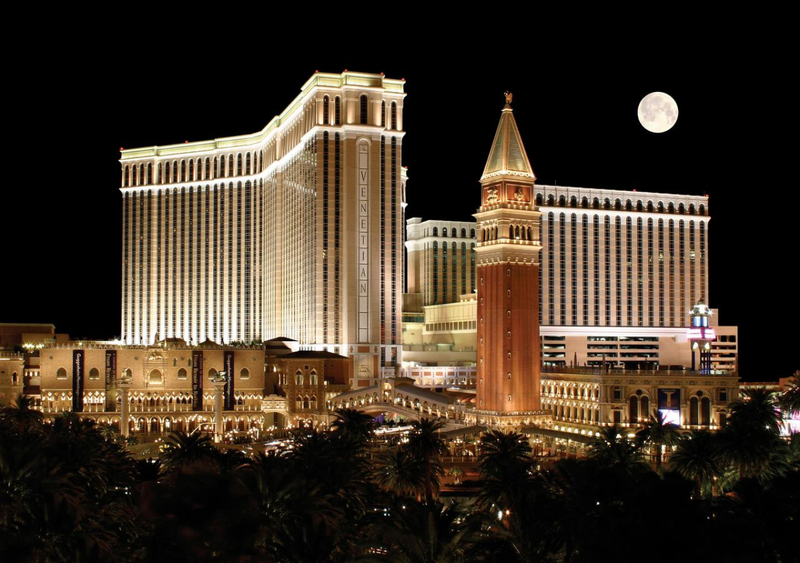 On the historic site of the Sands Hotel on the Las Vegas Strip, Sheldon Adelson recreated the Italian city of Venice when he built the Venetian Resort, Hotel and Casino featuring famous landmarks, winding canals and authentic gondolas. 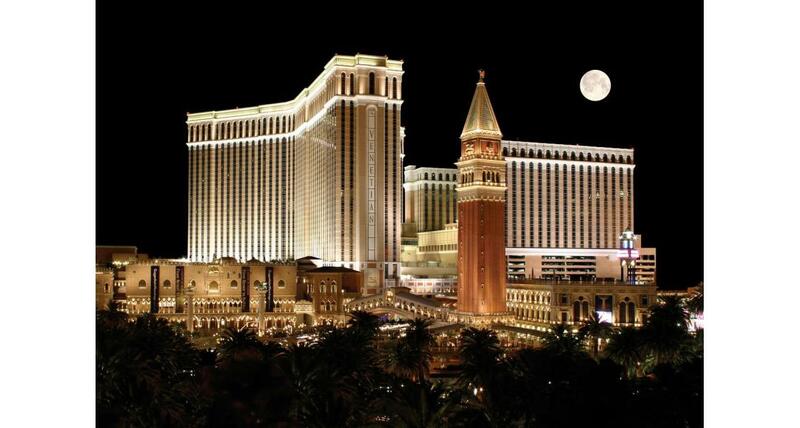 Behind the facade of the Doge's Palace, you will find marble floors, hand-painted frescoes and plush furnishings surrounding a 120,000-square-foot casino with slot machines, table games, a high-limit salon, race and sports book and a newly expanded baccarat venue with added privacy for VIPS. There are more than 4,000 suites between the two towers, ranging in size from 650 square feet (almost 2X larger than a standard hotel room) to the 6,000-plus-square-foot Chairman suite. Amenities include private bedrooms, bathrooms finished in Italian marble, sunken living rooms, mini bars, dual-line phones with data port, and in-suite fax, copier and printer combos. Free daily newspaper delivery, shoeshine and turndown service are also offered. For those anxious to cash in on the poker phenomenon, The Venetian's poker room is one of the most posh in the world. At nearly 112,000 square feet, this luxurious, state-of-the-art poker room features leather and wood throughout, all in smoke-free environment. A separate high-stakes area offers butler service and gourmet dining. The room hosts a vast array of games suited to both the recreational poker player and the season veteran of the game. The Grand Canal Shoppes feature chic boutiques and restaurants. The Artisti Dell Arte - classically trained singers, actors and musicians from all over the world - perform beneath the sky of the St. Mark's Square. Here you can catch a ride on authentic Italian gondolas navigated by an opera-singing gondolier. The Venetian's award-winning restaurants include Canaletto, Chica, Tao Asian Bistro and Thomas Keller's Bouchon. Nightlife hotspots include the V Bar and Tao Nightclub.